Your cars filters are important to the longevity of your car and interior comfort and should be replaced regularly. Oil Filter traps contaminants allowing the oil to flow through the engine unrestricted. Fuel Filter separates harmful contaminants that may cause problems with injectors and fuel system. Air Filter traps dirt particles, which can cause damage to engine cylinders, walls, pistons etc. The Air filter also plays a role in keeping contaminants off the airflow sensor in fuel injected cars. Cabin Filter or Pollen Filter as its also known helps trap pollen, bacteria and dust that may find its way into the cars ventilation system. If you experience poor miles per gallon, hesitation while accelerating or a musty smell in cabin you should get your car looked at, you should also have your car serviced at regular intervals to ensure the vehicle filters perform at their best. 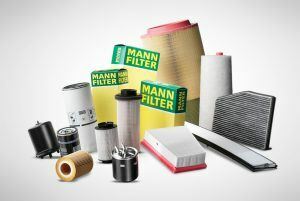 If you would like us to carry out a service for you and replace your filters, give us a call.